Everyone deals with worry and stress. It’s part of human life, but it isn’t a part of God’s plan for our lives. 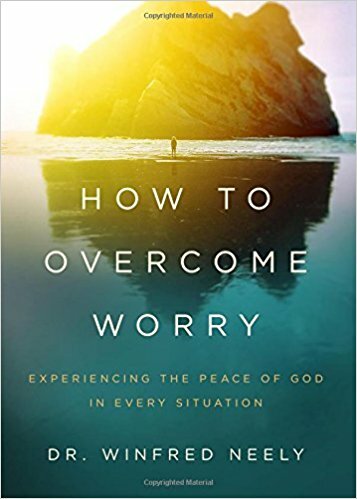 In this books, Dr. Winfred Neely gives his advice for overcoming worry in a worry-filled and anxiety-creating world. First of all, concern and care for others and ourselves is healthy and biblical. However, it becomes unhealthy when it turns into worry. This is because, not only is it detrimental to our physical health, but also to our spiritual health, as worry and anxiety are rooted in unbelief that God is taking care of things. While Neely notes that there is no on/off switch for worry, he gives a bunch of Bible verses and tips for working past your worry and being able to put all of your trust in God. Foremost, Neely stresses the importance of prayer. Bringing all of your concerns to God allows you to talk through the problems with Him, and be able to give the problems over to Him. Prayer is the key to conquering worry. Prayer is supposed to have an answer, and when we pray, we can expect peace from God. I really enjoyed this book. I loved the verses and advice Neely gives throughout. I ended up doing a ton of journaling and finding it to be really helpful. He used great metaphors and imagery to explain his concepts. Each chapter, as well as the end of the book, gave helpful verses, tips on how to put into practice the methods of stopping worry, guidance for prayer, recommended books, and questions for reflection and discussion. I have this book 3/5 stars. *I received a free copy of this book from Moody Publishers in exchange for an honest review. All opinions are my own.